Show your next employer that you carry insurance for pressure washing by quickly downloading our Certificate of Insurance online. You can even add a new business you're working for as an Additional Insured before you download. And there are no extra fees, ever. Go ahead and book that big job, or think about expanding into the next county; we've got your pressure washing business liability insurance covered, so you can work on what matters to you: your business. We guarantee your satisfaction--cancel anytime you're not satisfied. Cash flow trouble? 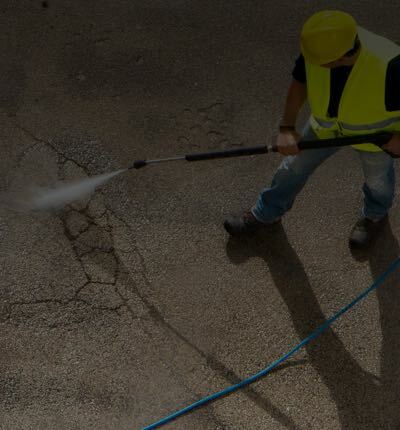 Our payment plans allow you to pay your pressure washing business insurance premium on a monthly basis so you can keep your business running and insured at the same time. Of course, we don't charge any extra fees if you choose that option. Your client trips on the cord of your pressure washer and hurts himself. That same client asks you to pay for their medical expenses, rather than pursue a lawsuit. While moving your equipment onto a client's back porch, you have go to through their office. On your way, you accidentally knock a computer over. Your client demands you replace it. A client sues you for using "before and after" images of his home in advertising without prior consent. An employee jokingly complains about a client to the waitress while out to lunch at the local cafe. The discussion gets back to your client and his company sues. We’ll cover you. You turned your pressure washing machine up too high, and knocked over all the plants on your clients porch, including their prize-winning orchids. If you purchased a Pro or Pro Plus policy, which include Professional Liability Insurance, we'll cover you.